Editor's Note: The casualty list has been updated. Eight [Nine] people were killed — including a 14-year-old boy — and at least 45  others were wounded in weekend shootings across Chicago. 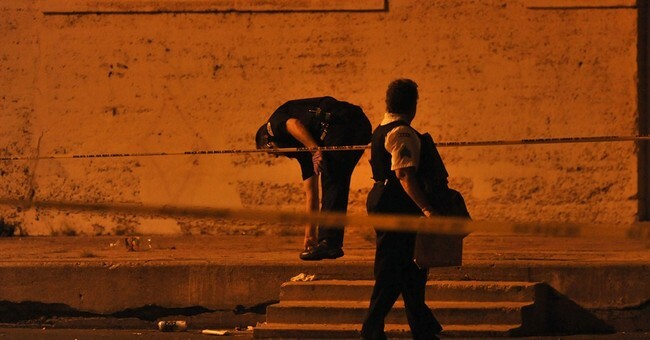 The latest homicide happened Sunday night in Roseland on the Far South Side. Officers responding to a call of shots fired about 9:40 p.m. in the 10100 block of South Calumet found a 43-year-old man unresponsive on the ground with a gunshot wound to the abdomen, according to Chicago Police. He was taken to Christ Medical Center in Oak Lawn, where he later was pronounced dead. His name was withheld Monday morning. Just over an hour earlier, a 37-year-old man was gunned down in the Austin neighborhood on the West Side. About 8:20 p.m., Phillip Floro was walking with a friend in the 1600 block of North Central when he heard a shot and realized he’d been struck in the abdomen, according to police and the Cook County medical examiner’s office. Floro, of the 3000 block of West Franklin, was taken to West Suburban Medical Center in Oak Park, where he died at 9:16 p.m., authorities said. Nevertheless, Illinois now has concealed carry laws. They’re very restrictive, but at least the state, which never recognized carry rights until 2014, has something to offer law-abiding citizenry. Given the levels of violence in Chicago, it’s not shocking that many are lining up for their permits.